The Big Time What do you get when you mix the Women’s March, major industry awards, hot-to-trot companies, and Betty White? Why, that would be Big Monocle’s founder, Amy Stellhorn. 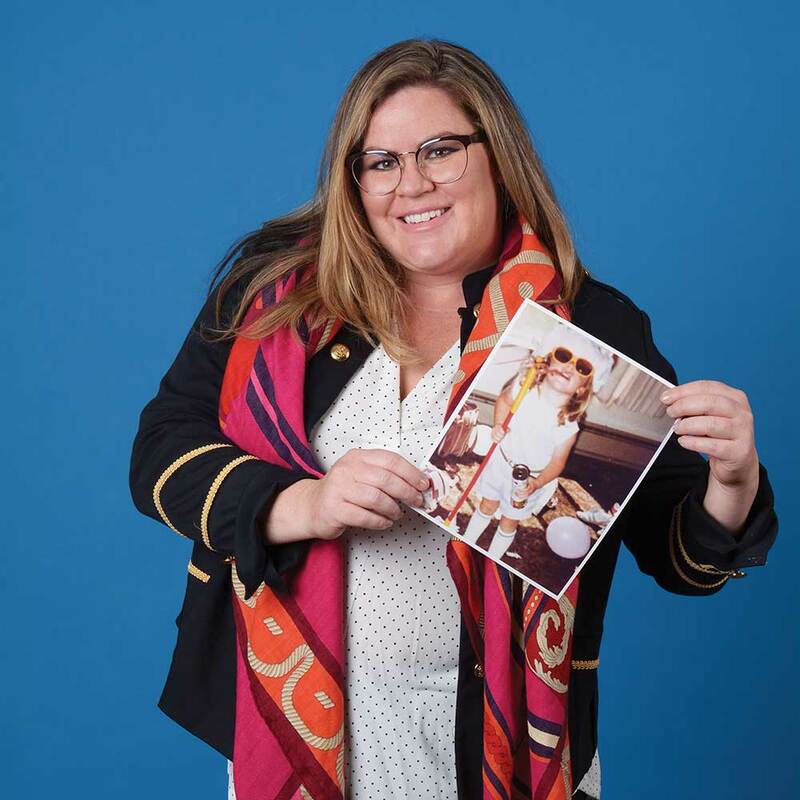 The design powerhouse was just 19 when she landed a job with Neumeier Design Team in Palo Alto — and, as her colleague once described her, she was like “Athena who sprung to life fully formed.” Today, the goddess is running her own design agency in Utah Valley, while national pubs like Fast Company write about it. Plus, she’s landing a red-hot client list, working with national treasures like Betty Flipping White, helping launch the Sego Awards with fellow honoree over there Trent Mano (high-five! ), and designing the impactful logo for the Women’s March — a global movement reaching all seven continents. P.S. Stellhorn’s childhood birthday photo —where she’s wearing all of her presents, including a shower cap — wins all the awards.